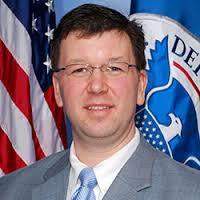 Dr. Bill Powers joined the Department of Homeland Security (DHS) in March 2005 and serves as a Senior Advisor for the National Protection and Programs Directorate (NPPD) Office of the Under Secretary (OUS). In this role, Bill manages a host of policy facets that build and promote a culture of individual and organizational preparedness among the NPPD workforce that enable individual and organizational readiness, continuity and mobility. Prior to joining OUS, Dr. Powers served as the Chief of Staff for the NPPD Office of Risk Management and Analysis where he managed the day-to-day activities that included personnel, resource, policy and interagency strategy formulation to enhance homeland security risk management. Dr. Powers served as a Professional Staff Member with the United States Senate Homeland Security and Government Affairs Committee (110th Congress). Dr. Powers provided key legislative input and guidance on essential public policy matters related to the DHS implementation of a comprehensive National Security Strategy to secure the United States from terrorist attacks and response to natural disasters. Dr. Powers collaborated to co-author the successful bi-partisan sponsored United States Fire Administration Reauthorization Act of 2008 (S. 2606) and establishment and authorization of the DHS Office of Bombing Prevention (S. 2292).